DE-15 to 3 female BNC connectors (Y/C and Composite). 1 ft (0.3 m) long. Accessories & Peripherals Compatible with ProductionVIEW HD Y/C & Composite Cable 1 Ft.
ProductionVIEW HD Camera Control Console with HD, RGBHV and SD video mixing, transitions, lower screen graphics and automated control functionality. ProductionVIEW HD MV Camera Control Console with multiviewer capabilities, digital inputs/outputs, HD, RGBHV and SD video mixing, transitions, lower screen graphics and automated control functionality. 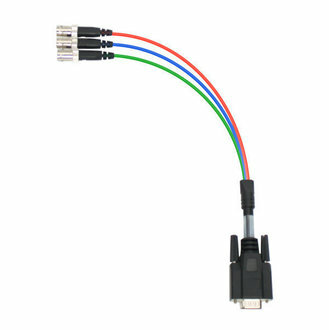 Share the ProductionVIEW HD Y/C & Composite Cable 1 Ft. 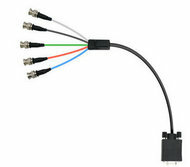 Send an email about the ProductionVIEW HD Y/C & Composite Cable 1 Ft.